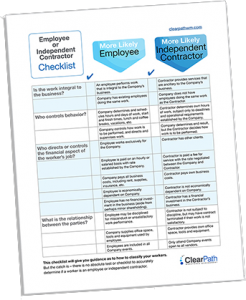 ClearPath is a leading Human Resources Outsourcing company with a focus on the contingent labor market. We have been providing contractor management and payroll solutions for over 25 years, and we cover the entire USA and Canada. With ClearPath, companies can efficiently and cost-effectively engage, retain and manage the talent they need, while mitigating the risks associated with contingent workers. ClearPath’s operational strengths, top quartile processes and procedures, and superior customer service are designed to mirror the business objectives of even the most demanding clients. In her role as Chief Executive Officer, Renee brings a strong team spirit to the organization. Her philosophy is to have the team work collectively to establish the best-in-class solutions and processes for our clients, suppliers, and contractor employees. It is rewarding for her to partner with our clients so she can educate and protect them from government compliance issues that could hurt their business. Renee began working with ClearPath in February 1993. She became President in 2005 and CEO in 2010. 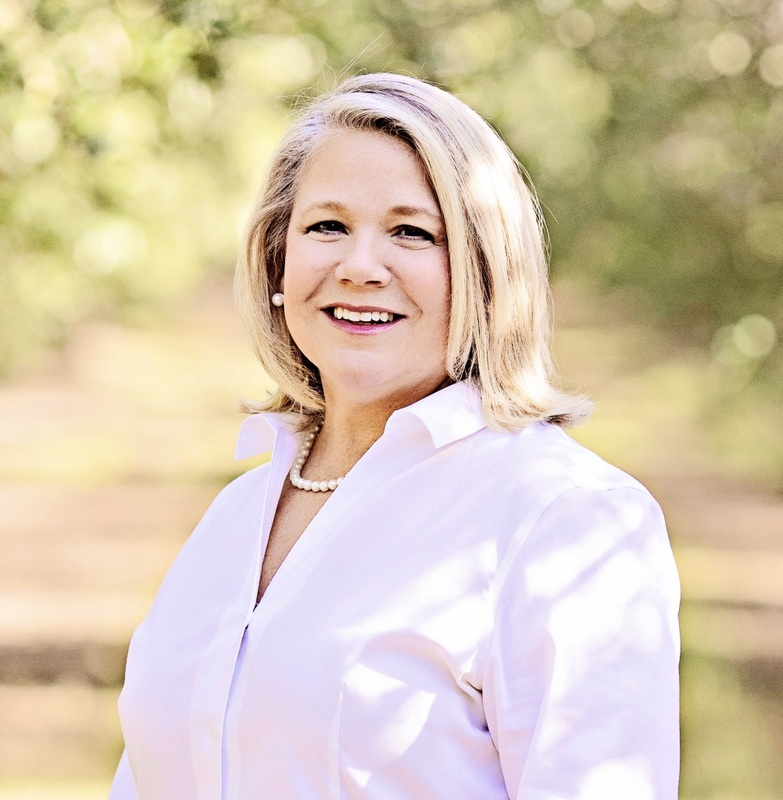 Before ClearPath, Renee worked as an independent financial consultant, held management positions with Seagate Technology and SyQuest Technology, and was also an entrepreneur owning a number of businesses. Renee is a Distinguished Toastmaster and a member of two Toastmasters clubs that meet at ClearPath. She loves working with members to overcome their fear of speaking and to help them grow their leadership skills. In her downtime, Renee enjoys hiking in Yosemite and hand-making greeting cards that brighten people’s days. Renee is a graduate of the University of Phoenix, with a Bachelor of Science degree in E-Business. As Chief Financial Officer of ClearPath, Judy has helped the organization achieve sound financial stability, and continues to make the critical decisions that keep ClearPath providing valuable services to our customers. 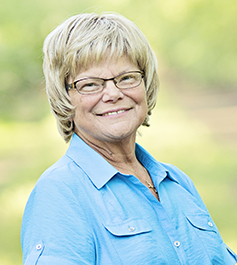 Judy joined ClearPath in 1998 after working as the Controller for eleven years at Carey Development, Inc., a construction contractor specializing in custom homes, apartments, and commercial real estate. Before this, she worked two years for a non-profit organization and four years for the Marin County District Attorney’s office. 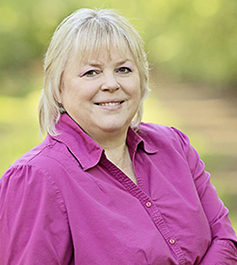 Judy attended Moorpark College in Southern California, majoring in accounting. She brings over 30 years of accounting and supervisory experience to the team. For relaxation Judy likes to read mystery novels, go to Yosemite, and travel with her husband, Dan. As Vice President of Strategy and Solutions, Alanna is involved with growing existing businesses and successfully developing sales strategies for new business. She works with ClearPath’s clients implementing deliverables such as contingent workforce management solutions, contract administration, and worker negotiations. Her unique understanding of our clients’ challenges makes Alanna an integral part of the ClearPath organization. Alanna joined ClearPath in 2015, and brings more than 16 years of professional experience in management within the contingent workforce industry, as well as associated contractor worker classification, IC compliance, risk management and labor law issues for corporate clients and staffing firms. 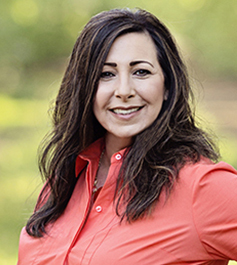 Alanna has played a critical role in helping recruiters, end clients, and staffing companies protect and grow their businesses by successfully helping them design and implement customized workforce solutions that reflect their specific needs. Her entrepreneurial approach to proactively develop, grow, and implement new processes has contributed to her being recognized as a solution sales leader within the industry. 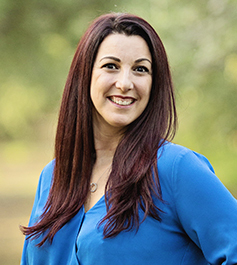 Alanna is a Florida Supreme Court Certified Mediator, and holds a Bachelor of Science degree in Behavioral Science of Psychology from Lynn University. In her role as Vice President of Operations, Sandi is responsible for our Client Service Managers, Human Resources, and Payroll Department. Sandi puts a strong emphasis on building solid relationships with our clients and contractor workers. Her main priority is to cultivate the ClearPath team to provide exceptional customer service. Sandi joined the ClearPath organization in 2014. With over two decades of operations, personnel management, and hands-on business experience, her operational views are invaluable to ensuring the success of ClearPath’s clients. She brings extensive knowledge from working in the private sector, as well as in county and city government. Sandi is of the belief that leadership is an everyday choice and not about a title, tenure, or position. It’s about allowing individuals to “own” their roles and taking pride in making decisions that impact our day-to-day operations. She has challenged her teams to be better, do better and, as a result, deliver better. Recognizing the importance of communication, she meets with her teams regularly to set strategic plans and define goals for each department in an effort to streamline processes. Sandi’s visions of the future and ability to keep our organization operating efficiently have contributed greatly to the success of the ClearPath vision of guiding and serving all with integrity and respect. In her role as Vice President Compliance and Relations, Connie is responsible for compliance program guidelines and processes that enable the Compliance Services program to thrive in an ever-changing legal environment. She is instrumental in reporting and diagnosing client satisfaction with ClearPath’s services as well as assessing client’s needs for new services. Connie joined ClearPath in February 2018. Prior to ClearPath, Connie worked as an independent consultant providing contingent workforce advisory services to the Staffing and Workforce Solutions industry. She successfully developed a Workforce Solutions division with a mid-size Staffing company, including Contingent Workforce Management and Recruitment Process Outsourcing programs. Additionally, she worked for KellyOCG where she was the architect and developer of their Independent Contractor Compliance business unit. She brings over 20 years of experience and is a Subject Matter Expert in Independent Contractor/1099 Compliance. Connie is a graduate of the University of Michigan with a Bachelor of General Studies, Human Resource Management concentration. Her passion is creating new offerings and expanding the status quo. Her desire is to drive the Workforce Ecosystem to create a new model for the Contingent Workforce and Total Talent Acquisition strategy.